Planting legumes alongside cereals could improve crop yields and reduce the environmental impact of farms, researchers have found. Image credits Hans Braxmeier / Pixabay. Following the Green Revolution and the wide-scale implementation of intensive farming, nitrogen fertilizers became vital for the way we grow crops. It has become essential to maintain high crop yields, with cereal crops usually getting around 110 kg of nitrogen fertilizer per hectare. But this nitrogen is usually derived from fossil fuels and it has a huge carbon footprint. The work of Dr Pietro Iannetta of the James Hutton Institute on intercropping could drastically reduce or remove our need for such fertilizers altogether. The findings were presented at the British Ecological Society’s annual meeting in Liverpool last week. Intercropping is the practice of growing two or more types of crops on the same soil at the same time, as opposed to the intensive farming practice of planting a singe crop per field at a time.Dr Iannetta’s work shows that adopting this method of farming could cut greenhouse gas emissions by reducing the need for fertilizers, while boosting biodiversity, food security, and widening markets for local food and drinks at the same time. Dr Iannetta grew trial crops of peas and barley together at a 50-50% rate and found that despite using not nitrogen fertilizer, he could produce a total yield in excess of what barley alone would produce. This happens because peas and other legumes fix their own nitrogen — when grown with other crops such as barley, the peas supply the cereal’s nitrogen requirement. Related story: Make your own compost. Not only cheaper and more efficient, but this approach is also cleaner. 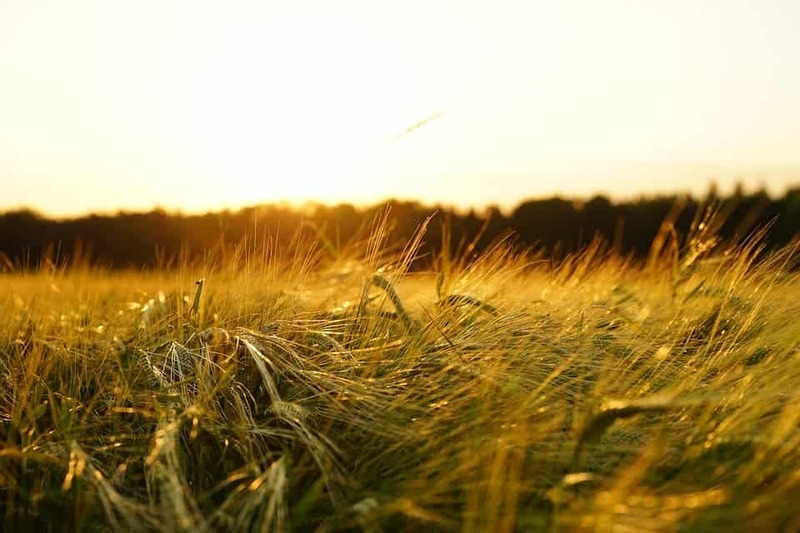 Dr Iannetta estimates that emissions could be reduced by 420,000 tonnes of CO2 equivalent if the UK planted its spring barley alongside legumes and used no fertilizer. That’s the equivalent CO2 that over 420,000 trees process in a year. And, since agriculture makes up around 15% of global greenhouse emissions, this approach could make a huge difference. Western agriculture currently relies on a narrow range of crops — it’s wheat, barley, and potato heavy. By growing more legumes alongside these staples, intercropping would boost diversity and help make farming more resilient to environmental factors, crop diseases, and pests. It would also help diversify farmers’ produce, and the wider range of locally-available crops would stimulate new markets for sustainable foodstuffs. To this end, Dr Iannetta is also working on developing new ways to brew peas and beans into alcohol. With the help of Professor Graeme Walker of Abertay University working on the enzymes involved in fermentation, Barney’s Beer in Edinburgh, and Arbikie Distillery in Arbroath, he’s working on developing a beer made from 40% whole faba beans. “Beans are notoriously difficult to ferment, but we have discovered a way of doing this by neutralising the fermentation inhibitors,” he explains. Such research is particularity relevant in countries with little arable soil, those who can’t afford fertilizers, or countries with a heavy tradition in brewing. Scotland, for example, uses 60% of all non-grazing arable land to grow barley, around half of which is for malting and distilling. The by-product of the fermentation is also high in proteins, which can be used as feed in fisheries. Dr Iannetta hopes to have commercially available green beers and neutral spirits by the end of 2017. “These will have been produced using no human-made fertilisers, and give co-products that provide sustainable and profitable protein production for the food chain,” he concludes.